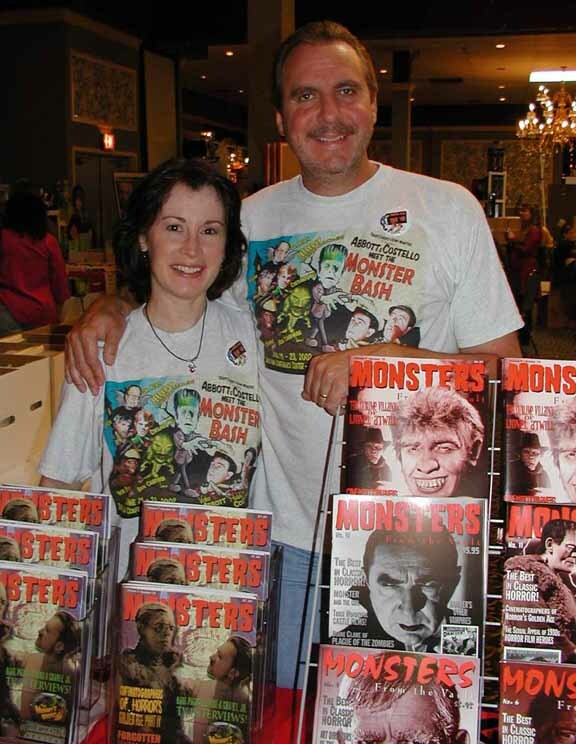 Abbott & Costello Meet the Monster Bash! 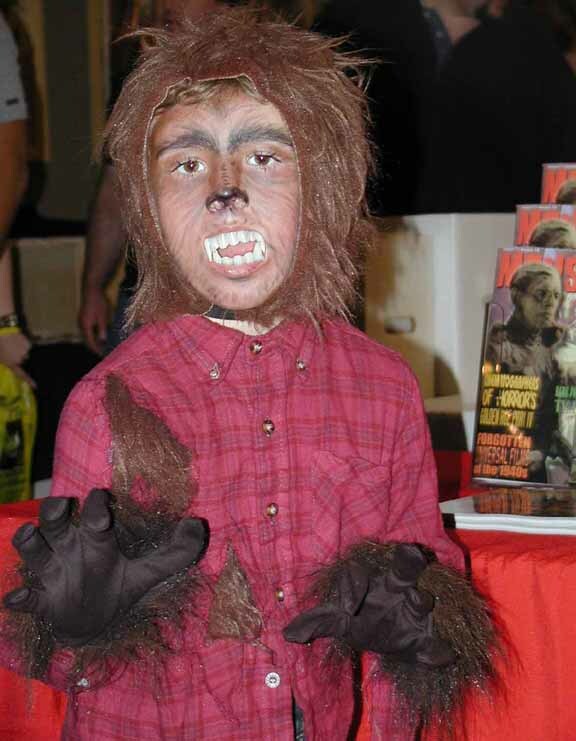 The fact that I'm sitting here going through withdrawal as I write this could signify only one thing---another Monster Bash Convention has come and gone. 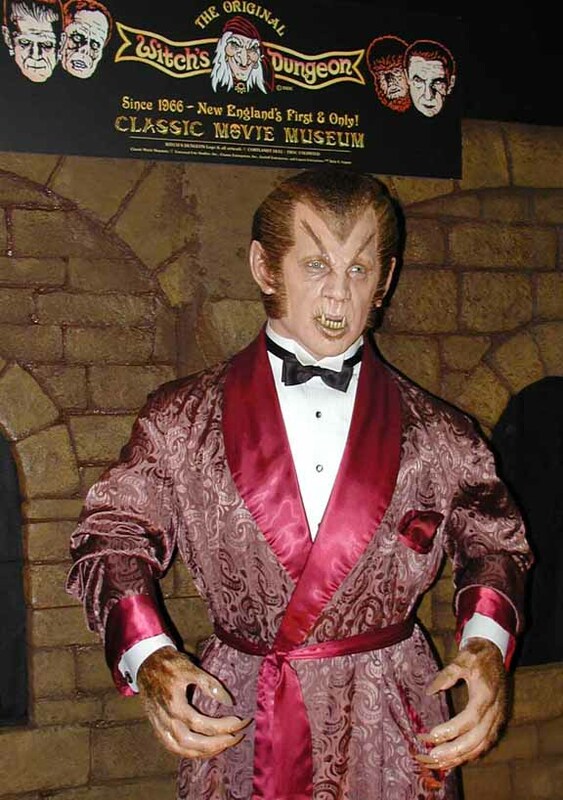 Since its inception in 1997 (except for 2000) I've made the five-hour pilgrimage to the greater Pittsburgh area for Ron Adams' salute to Classic Horror and Science Fiction films, the people who made them, and the "Monster Kids" who love them. 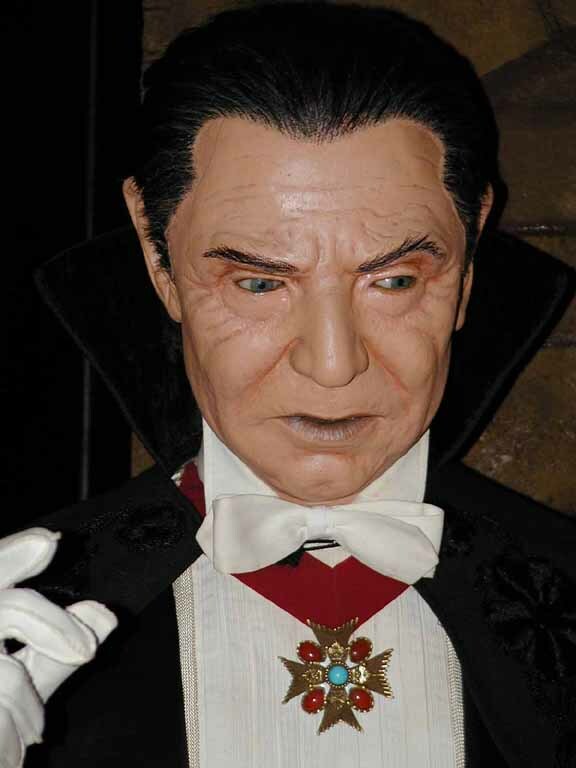 I've been especially looking forward to this year's Bash, since last year I received my first invitation to the Monster Bash staple---"The Old Dark Clubhouse." 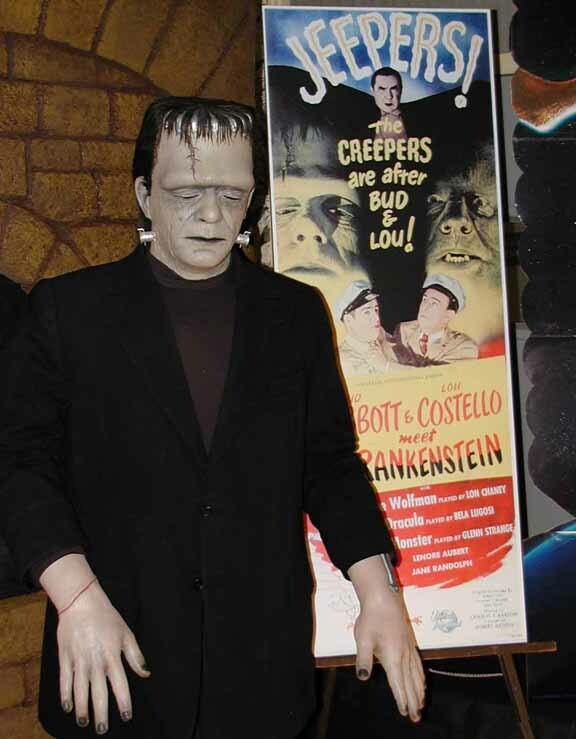 The Clubhouse is the brainchild of two great fans of Classic Horror, Sci-Fi, and the Monster Bash: Gary Prange and Joe "Sorko" Schovitz. The Clubhouse is the place where fans who've been in contact throughout the year (via phone, e-mail, message boards, etc.) 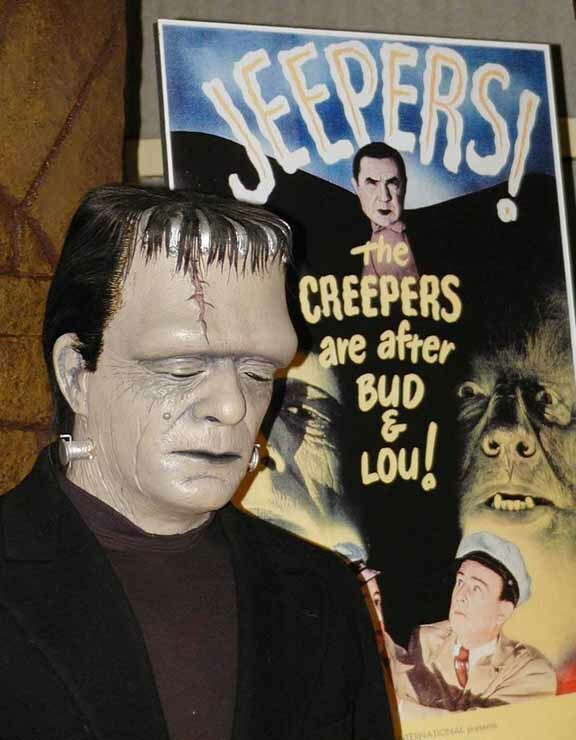 gather to share in the celebration of the guests, renew old friendships, start new friendships, share Monster memories, and show off some of their Monster memorabilia. In other words---it's heaven on earth! 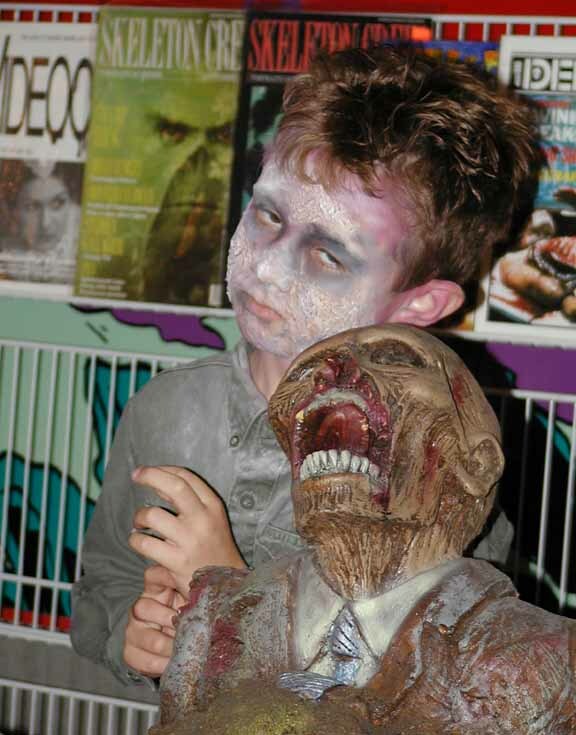 While the Monster Bash itself provides enough activities to keep all of the attendees busy from sunup, to sundown, it's the lucky few who gather in the Clubhouse who get to share that special "Monster Kid" bond. As in the past, this year was no exception. I spent three nights hanging out with some of the greatest fans, including Ron Adams, Michael Brunas, Bob and Kathy Burns, Joe Busam (and Joe Jr.), Mark Clark, Dave Conover, Dr. Gangrene (TV Horror Host from Nashville), Dennis Druktenis, Kerry Gammill, John Skerchock, Richard Olson (and his daughter Chrissy), Bryan Senn (first-time Monster Bash attendee), Richard Stoner, Rich Scrivani, Bob Tinnell, Tom Weaver, and many, many more. Of course, I can't leave out our gracious hosts, Gary and Sorko, and my lovely wife Marian, who made her second visit to the Bash, and her first to the Clubhouse this year. While there were many highlights this year (like receiving several "Old Dark Clubhouse" Premiums from various "Monster Kids," getting to know Bob Burns and his wife better, and watching various homemade Monster movies from the 1960s [they really need to get these together on a DVD]), the greatest highlight was meeting Richard Olson (the inspiration for the Clubhouse) for the first time. Looking through his photo albums and scrapbooks and watching his early home movies was an experience I'll never forget. Meeting a nicer person is probably not possible. Richard, thanks for making a great experience even greater! 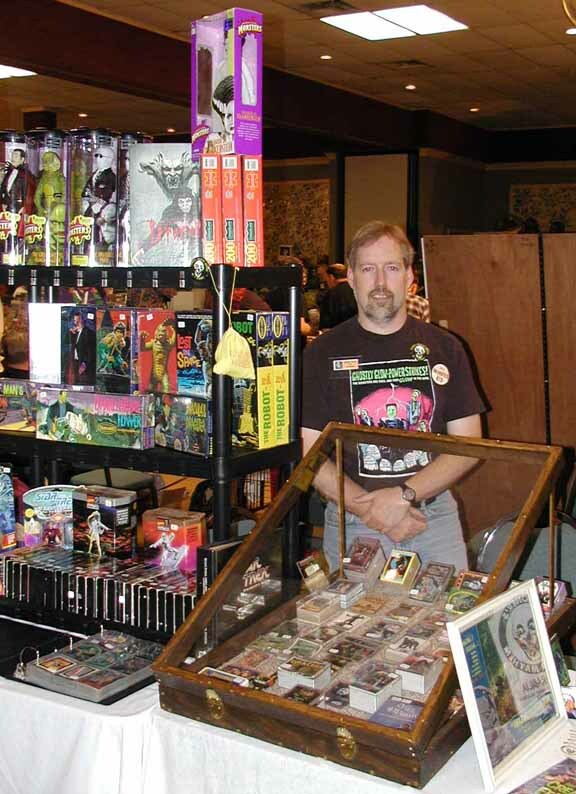 Finally, hats off to Gary and Sorko for hauling all of their truly spectacular stuff (see photos below) to the show---it makes the Clubhouse the ultimate "Monster Kid" hangout. Well, enough rambling, it's time to get the pictures (all photos were taken by me) so you can see what you're missing and have plenty of time to make plans to visit Pittsburgh next year for the ultimate fan gathering. 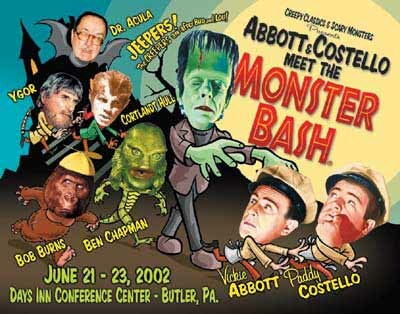 See you in 2003 when "Mad Doctors" and "Mummies" invade Butler, PA. (I'm already working on my "Old Dark Clubhouse" premium for next year.) To Ron and his staff---another job well done! 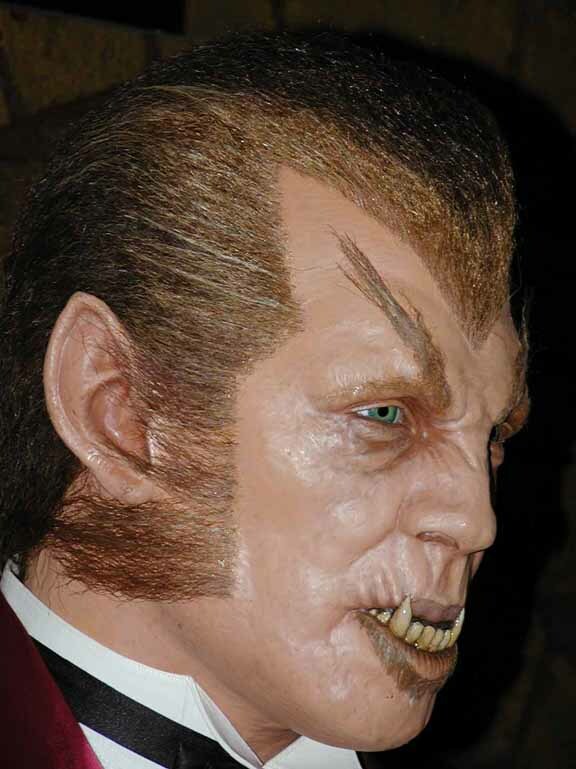 Cortlandt Hull's Werewolf of London Figure from "The Witch's Dungeon"
Cortlandt Hull's Dracula (Bela Lugosi) Figure from "The Witch's Dungeon"
Cortlandt Hull's Frankenstein (Glenn Strange) Figure from "The Witch's Dungeon"
Like Father, Like Son! 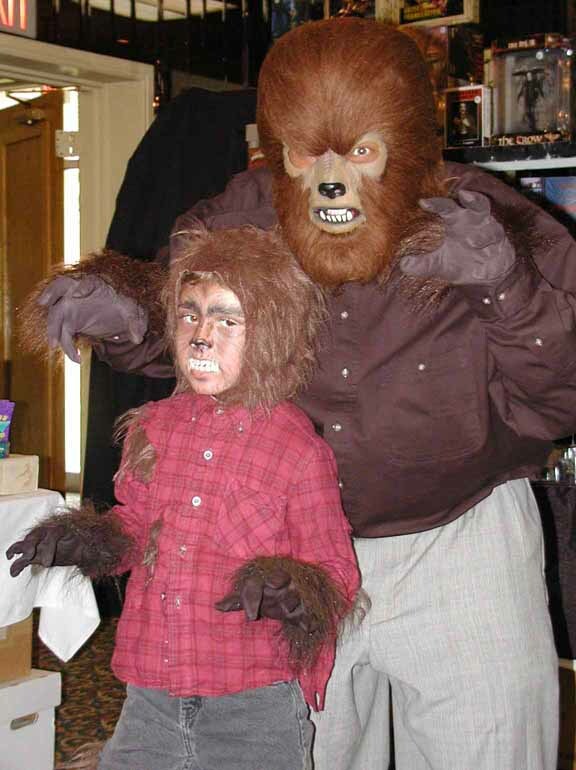 The Wolf Man Sr. & Jr.